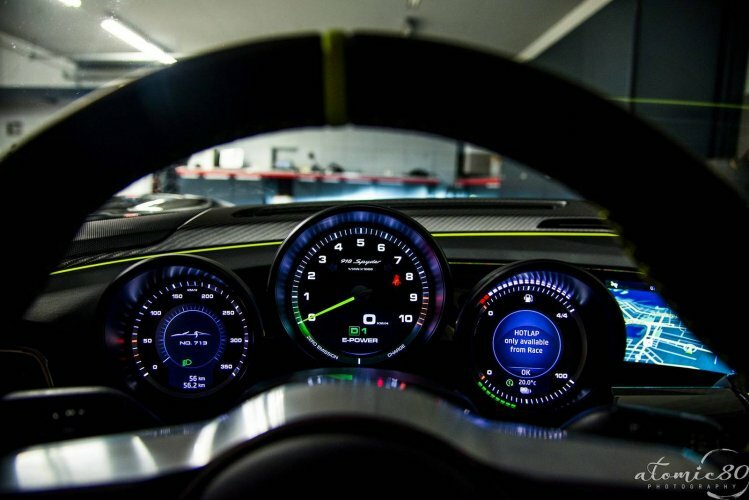 Sure should you skip to the performance figures you would see both versions will do an identical 0-60mph in 2.5 seconds in full hybrid power mode and have a top speed of 214 mph. 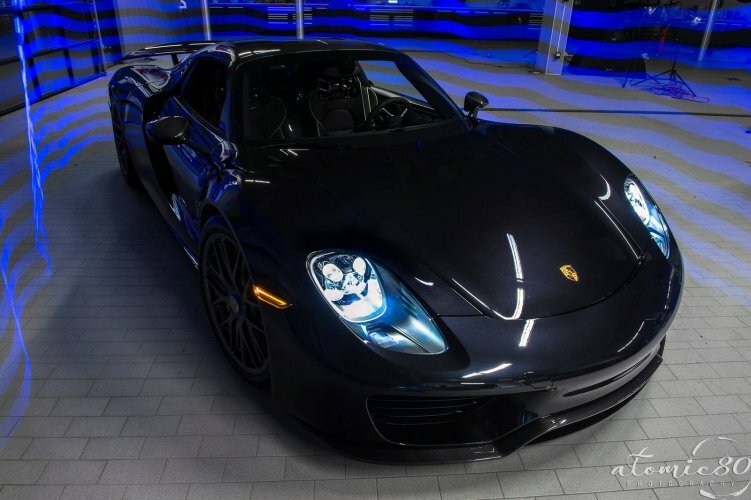 The only difference at first glance is the Weissach equipped Spyder will hit the quarter-mile in 0.1 seconds faster than the base, 9.9 versus 10.0. You may think those numbers make the Weissach package a waste of your hard earned money, but pay attention to the details and you will start to see what makes the package special. 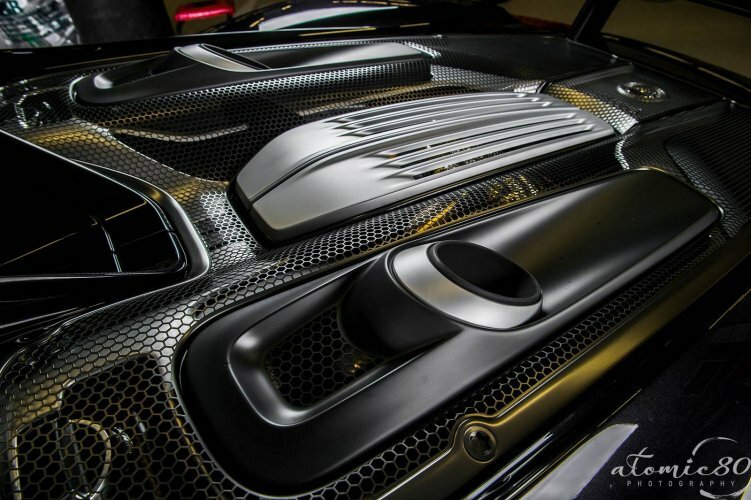 An almost re-engineering of the base model, the Weissach Package puts a focus on shaving off precious weight by using lighter materials like magnesium, titanium and carbon fiber throughout the car wherever possible. Titanium frame bolts are used and are never visually appreciated by the owner since they are not seen. The titanium used in some braking components can be more easily appreciated though. 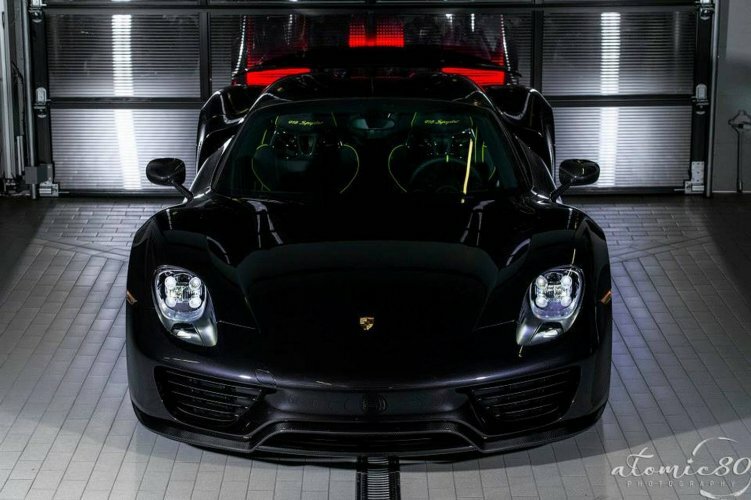 Porsche then moves to using bare carbon fiber on a few of the exterior pieces like the spoiler, mirrors, and roof further saving weight. 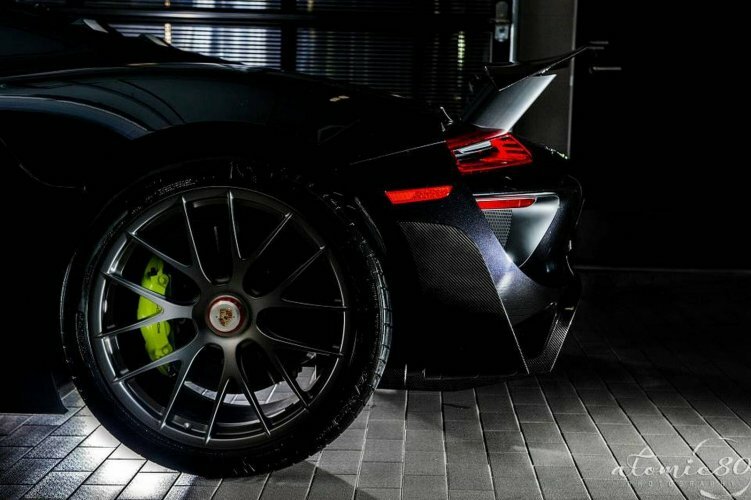 Going a step further, Porsche uses a set of gunmetal magnesium wheels which add to the diet’s success. Where the Weissach goes further is to ditch using the usual paint for the body and instead resort to a wrap, also available in the famous Martini Racing or Salzburg livery but this one sporting gloss black. 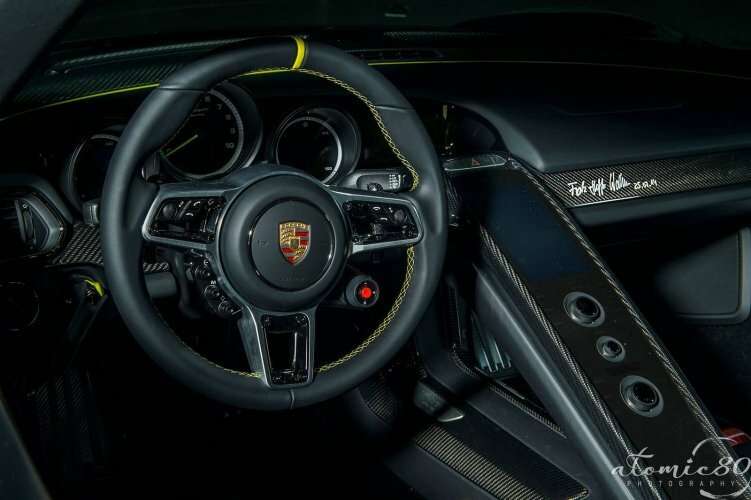 Additional bare carbon fiber can also be found inside the cabin on the dashboard, center console and door panels. 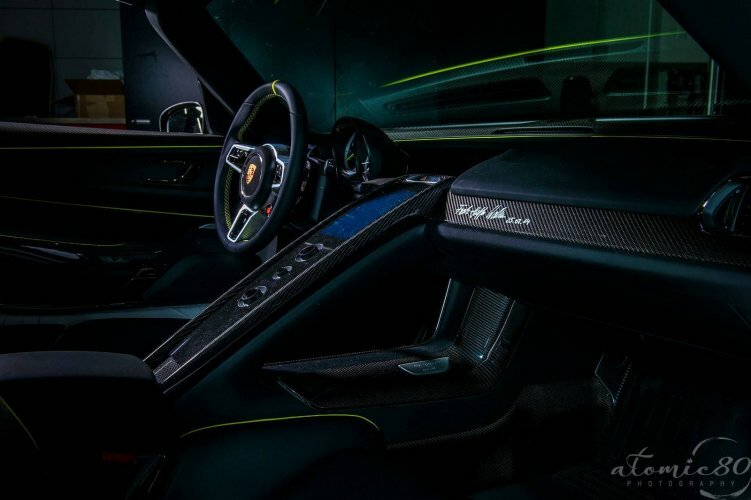 That along with the use of alternative materials like Alcantara instead of leather on the steering wheel, dash pad, and door panel helping to reduce weight further. This particular Weissach Spyder was ordered in black interior with green stitching and piping matching the brake calipers and badging outside. All this helps to equate to a 77 pound savings from the base Spyder that may not show a huge improvement over stock when looking at the figures on paper. However, there is no denying a weight drop from 3715 pounds down to 3616 pounds from all around the car can only help to aid in handling feel and balance.